Data analyst Dan Weston reveals how data and other numbers play a crucial role in T20 cricket, whether it is the selection of players or strategy. T20 cricket has turned out to be a huge blockbuster, particularly, in India where the IPL gets an enormous amount of following, although it is not the traditional country vs country contest. While the players are the superstars out there performing in the middle, the support staff work behind the scenes to do their bit in helping them come up with their best. Among the support staff is a data analyst like Dan Weston who keeps on noting down every ball that is bowled to generate analysis that can be crucial for individual players or a team to work on them and use them to their advantage on the field. Dan Weston says that his data, which has been collected from millions of balls bowled over the course of time, help him to calculate and predict the performance of players in different formats and in diverse conditions. The data that he generates shows that cricket is not just about what we see on the ground but much beyond it. Especially, when it comes to selecting squads or line-ups, the data can turn out to be very crucial, and perhaps for those engaged in betting at Betway and other cricket betting sites. Dan Weston said: “Quite a few coaches are old school, so it’s difficult to get them to buy into what you’re offering. “There are just not enough fresh voices. Once a full-time gambler, Dan Weston began generating extensive tennis data, and after a while applied the logic to cricket, thereby offering data to franchises, players and others to help them correct the errors that continue to be seen in the game. Weston records ball by ball information of the players to collect different data points, that include average, economy, strike rate, and several others. The individual data is adjusted on recency, quality of opponents and match conditions among others. 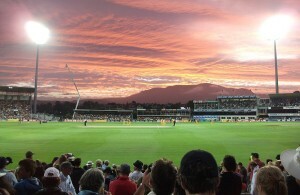 By generating expected stats for individual players for a particular tournament, Dan Weston can confidently predict how a particular cricketer is going to play in the matches. 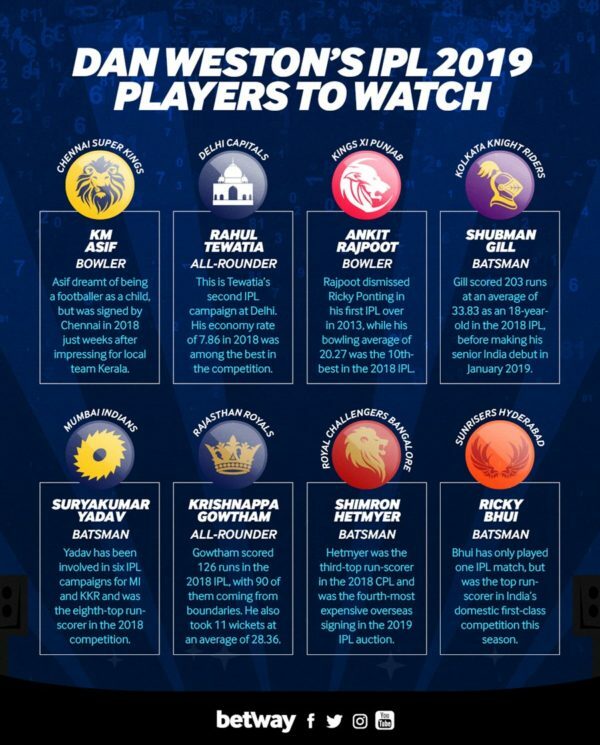 This enables the data analyst to recommend names of players to teams across the world, covering major T20 leagues like the IPL, the T20 Blast and others. Weston said: “Cricket is a conditions-driven sport, so a T20 Blast match at Canterbury will be a pace-orientated affair, whereas in Dhaka it’s going to be spinner-friendly and low-scoring. “If a batsman performs well at Canterbury, does that really apply to a match in Dhaka? Probably not. There’s limited relevance. So I analyse how historically similar players have made the transition from one league to another. Weston claims that teams keep on falling prey to ‘reputation’ of players and end up with a number of misjudgements in selecting them. Dan Weston said: “If a bloke like myself can sit in an office and produce decent theories and data about T20 I see no reason why a team with bigger resources can’t do the same. Weston also claims that certain players are wrongly picked in a T20 side on the basis of their performance in Test cricket. An example of this is English all-rounder Sam Curran, whose IPL selection was mostly due to his performance in a Test series against India. While Sam Curran and other all-rounders are utility players, they should not be automatically picked in a playing XI ahead of the specialists. Weston argues that the role of the specialist cannot be undermined in T20, especially with the ball, and his data is there to support his stance. The data analyst commented: “You don’t want to stick an all-rounder at No. 9 because he’s just not going to bat. “The average No. 8 faces about seven balls per match, and the average No. 9 faces about four balls per match. If those guys are required to face more than the average, your top order batsmen haven’t done their job properly. “For No. 9, 10 and 11 you just want an out-and-out specialist bowler who would perhaps then be capable of playing a five-ball cameo.